I'm often asked questions about the very important home inspection process. 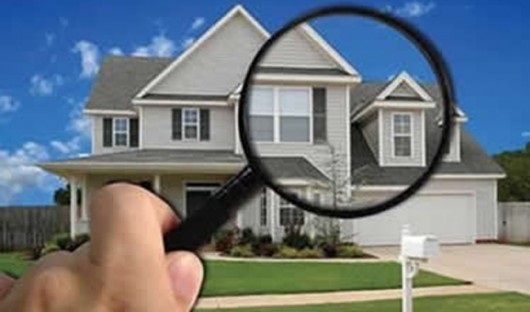 Atop the long list of items to do when buying or selling a house is the home inspection. But what is involved? How much does it cost? Why is it done in the first place? It’s important to understand what a home inspection entails and how it affects the sale of your home or the purchase of a new one. The more you know, the less likely you are to get taken by surprise. An inspector cannot report on defects that are not visible. For instance, defects hidden behind finished walls, beneath carpeting, behind storage items and in inaccessible areas, and even those that have been intentionally concealed. It will depend upon the type of contract you have with the seller, so discuss this with your Realtor. The seller may not required to make any repairs, replacements or maintenance since this is not a code inspection. However, the buyer can use the inspection report as a negotiating tool. For instance, if certain repairs or replacements are made, the buyer might offer to pay more, or if they’re not, the buyer can offer less. Remember that a thorough, accurate home inspection takes time. The last thing you want to do is to try to hurry the inspector along. The inspector’s most important priority is accuracy, and accuracy takes time. The chances of mistakes and missed conditions are much more likely the more the inspector rushes through. Expect your home inspection to take approximately 1.5 hours (longer for larger homes) allowing about one hour for each 1,500 square feet of living space over 3,500 square feet). Of course, older homes will take longer than newer ones. Expect your inspection to cost anywhere from $200-$500 depending on size. The cost is worth it and may be one of the most important investments you make when buying a home. Let me know if you have any questions: Rob McGuire, Keller Williams St Pete, Your Tampa Bay Realtor (727) 278-9090 or hiremcguire@kw.com.